Even though the place smells like rotten eggs, the blackened boiled eggs served here are quite tasty. A land filled with both natural beauty and man-made kvetch. 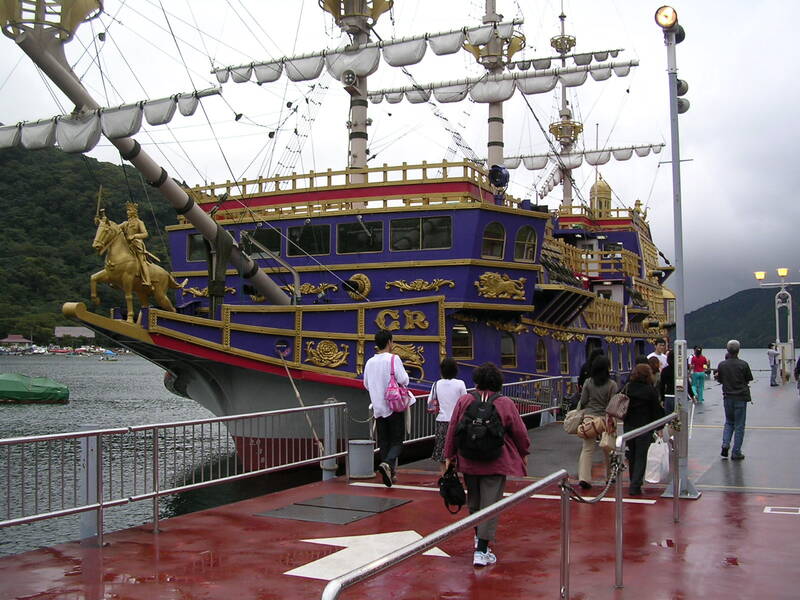 An exact replica of the traditional Japanese pirate ships that once terrorized this mountaintop lake. All of this is within easy reach of your favorite Shinjuku Hyatt (the trendy folks that stay in the Grand Hyatt and the Andaz will have a little more work to do), as the Odakyu Romancecar offers a direct link between Shinjuku station and Hakone Yumoto, the gateway to the Hakone region. No relation to the Love Boat. No hanky panky here. It’s more like the Hogwarts Express. 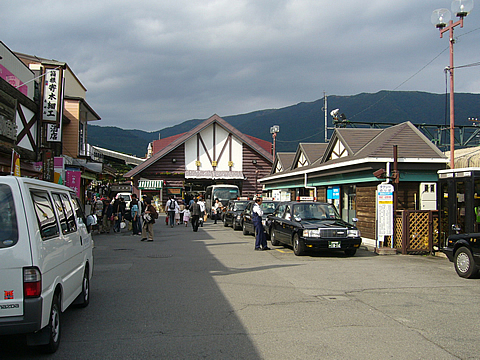 Hakone Yumoto is a fun little area filled with shops and springs, but explore that on your own time. Our job is to get to the Hyatt Regency Hakone. 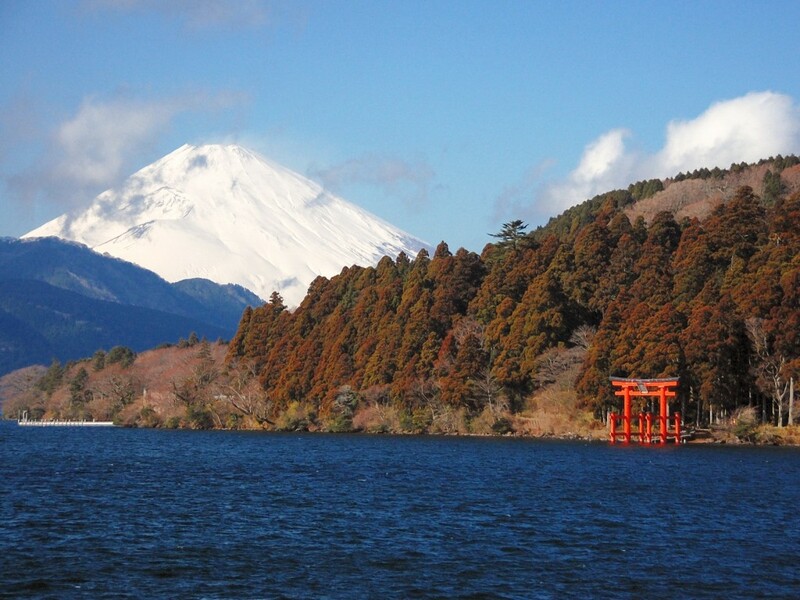 From Hakone Yumoto, you have two options. If you are in a hurry, you can catch a public bus that will probably get you there within about 30 minutes. But the far more interesting option is to stay in the train station and transfer to the Hakone Tozan line, and take it all the way to the end of the line in Gora. Even though it is only a distance of 8.9km between Hakone Yumoto and Gora stations, the ride will still take a whopping 45 minutes to complete. To get up the steep mountain, the train uses a series of “switchbacks”. It will move in one direction up to a certain point; then, at the designated positions, the train will switch tracks and move in the other direction. 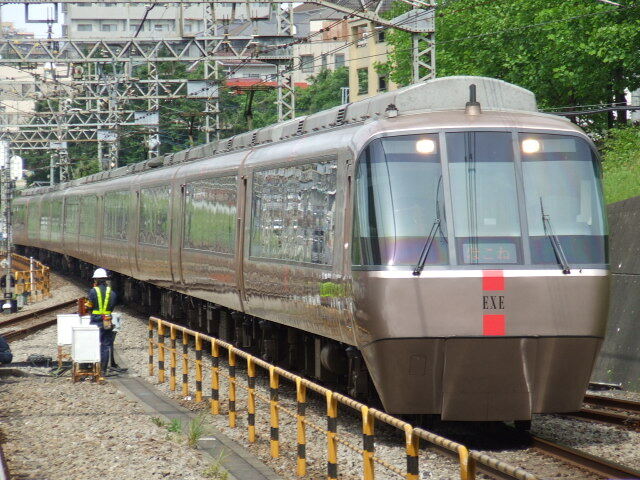 Two times during your trip, you will see the conductor get out of the front of the train, walk to the back of the train, and start driving again from what is now the new front of the train. I imagine that the locals have long since gotten bored with this but, for the first time visitor, it is quite cool, and a reminder that you are now, in the figurative sense, far, far away from Shinjuku. Eventually, you will reach Gora, where your journey is close to an end. And…I’ve spend so much time talking about the trip to the hotel that I don’t have any time left to talk about the hotel itself! We’ll do it next time! If there is a next time! But I’m pretty sure that there will be! 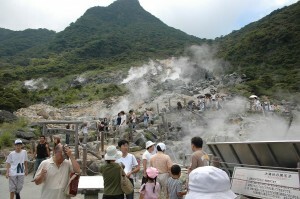 This entry was posted in Introduction and tagged Hyatt Regency Hakone Resort and Spa. Bookmark the permalink.